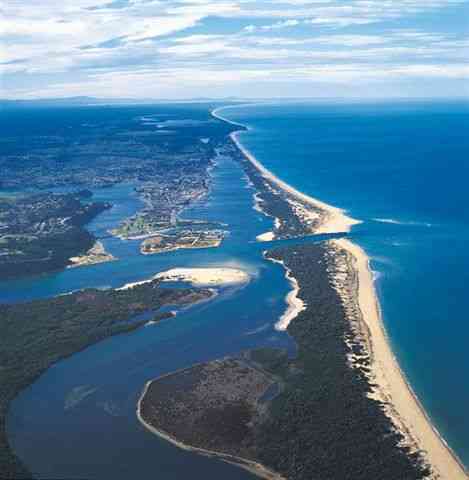 Pacific Highway, the scenic coastal route from Melbourne to Sydney. 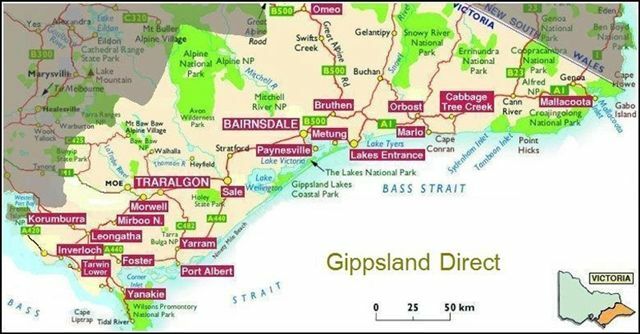 Snowy Mountains country plus the magnificent unspoiled native bushland of East Gippsland. A profusion of native animals and birds. fitness clubs, fishing, surfing, canoeing, sky diving, boat charters and tours. Bairnsdale is the perfect base for a varied and active holiday in a mild climate. hotels, caravan parks and camping. Supermarkets, fuel, good shopping, pharmacies, banking, arts and crafts. Dining has the full range from restaurants, cafes, diners, fast food, takeaway.